Driveability and ride quality are addressed with equal enthusiasm in the 2019 BMW X5. The new X5 also makes finding the exact car you want easier thanks to the variety of features and options available across the full range. 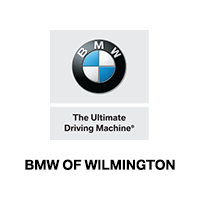 You can count on the personnel at BMW of Wilmington to keep your car buying experience honest and stress-free. Let someone on our team take you on a test drive in Wilmington by calling ahead or just stopping by.